Achieving Peak Performance: Lessons for success in career and life! In today’s highly turbulent and disruptive world we are all challenged to determine what actions and directions can lead to success. So much is changing, and at such a rapid pace creating uncertainty and confusion. Achieving Peak Performance presents a set of lessons and principles to guide people through these challenging times. They are built on a longstanding set of values, along with a contemporary application. The purpose is to aid today’s young professional and business owner in defining their approach and agenda to success. Krish reminds people that survival is assured and stability is available if you just show up. This program builds on the positive qualities that everyone possesses, which guides them into the thought process that says I Can! A concise seminar designed to enhance the twelve skills needed to convey your message. Dhanam will guide the audience to discover the rue value of the internal customer and will experience the need for pride and responsibility. Krish is a recognized expert in the field of human engineering and human development with a focus on sales, service, staff development, presentation skills and leadership. He speaks on the issues of freedom, discipline, dignity, pride, possibility, work ethic and relationships with a depth that will resonate with any audience. Krish Dhanam was born in Vizag in Andhra Pradesh and finished his formal education with an MBA at the Institute of Management Technology in Ghaziabad. Equipped with that learning he migrated to the US in 1986 with his bride Anila. Winning a sales contest in 1990 earned him a ticket to a seminar conducted by the legendary motivator Zig Ziglar. This chance encounter would be the catalyst that shaped the next two decades as Krish joined the Ziglar Corporation in 1991 as a telemarketer and eventually became their Vice President of Global Operations. Through training, teaching and facilitating seminars all over the world, Krish launched his professional speaking career. 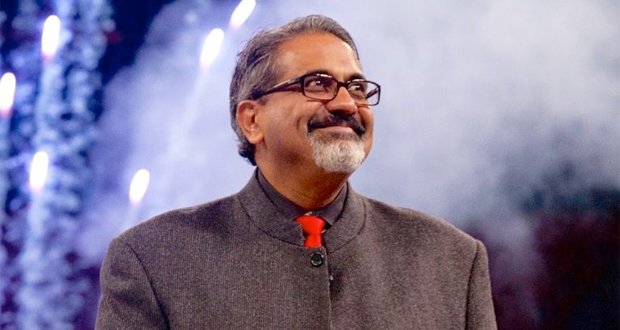 As one of only two executive coaches personally trained by Zig Ziglar, Krish has successfully delivered his message of hope, humor and balance in over fifty countries and throughout the continental United States. As a curriculum designer he has authored programs on staff development, sales, leadership, personal development and communication. His client list is the who’s who of global enterprise and he has received accolades from some of the most distinguished organizations including The United States Army, Christian Dior, Marriott Hotels, Cadbury Schweppes, EDS, Texas Instruments, Toshiba, Pepsico, Enterprise rent a Car and Energizer Batteries. Today he is the Global Corporate Adjunct with RZIM, Managing Partner and CEO with Skylife Success, co-founder of Krish Dhanam Training and President of Mala Ministries. He is the author of The American Dream from an Indian Heart and From Abstracts to Absolutes and contributing author to the book Top Performance written by Zig Ziglar. His latest book Hard Headed and Soft Hearted was co-authored with Rick Belluzzo former President of Microsoft. The Dhanam's make their home in Flower Mound, Texas and are the proud parents of Nicolas who is a final year engineering student. Thank you for all of your help in helping us pick the right speaker for our Convention. Krish was a HIT! I look forward to working with you to secure someone for our next event! I wanted to let you know that Krish was amazing! We had excellent feedback about him. We purchased his latest book and handed them out to the attendees after he spoke. He took the time to sign the books for those that wanted autographs. He was such a pleasure to work with. Very inspiring! Krish was excellent. He is very dynamic and perfectly blends humor with the key messages of his presentation. The preliminary reviews of the audience surveys have been very positive. He was awesome as always!!! "We strongly recommend Krish Dhanam to any group that is interested in having him preach/speak. We will say that we have great spirit-filled messages in our Christian Family Conference 2016." "Krish Dhanam’s message of hope and inspiration laid a solid foundation for Whitehouse ISD to begin the school year. His timeless wisdom and sincere passion communicated strength and faith in our teaching staff and their high calling to educate and inspire our students. Krish exudes the belief that every student, regardless of background, can become a world-changer with the right opportunity and support. Krish Dhanam will forever be a part of the fabric of Whitehouse ISD!"